The field of PDT is increasing its accuracy at targeting specific tissues, organisms, and other matter for ever-advancing applications in therapeutics. Of importance is the broadening of the classes of photosensitizers that are being developed for use in PDT, along with the development of novel wavelengths and light sources. Technologically advanced, microtargeted delivery systems are being developed that will enable photosensitizers to penetrate to desired targets with increasing specificity and efficiency. 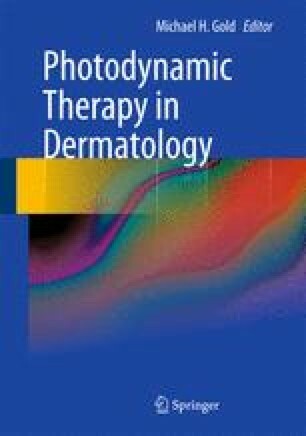 Finally, the applications of PDT to various clinical conditions are advancing, with the advent of its use for the treatment of acne, light hair removal, and infections.